Hello! What brand of gochujang do you use? I’m looking on Amazon and some look like thick pastes while others are sauces that are pourable. Just wondering what to buy. Thanks! Gina, I have been following your weekly meal plans, and they have been a lifesaver! The grocery list & ww points are such a win. Thank you for making healthy eating so much easier! For this recipe, is there anything I can swap for the gochujang? I can’t eat anything spicy :'( I’m such a wuss! Could I use teriyaki or hoisin? Or what would you suggest? I have made this a few times now and it truly isn’t spicy. I even doubled the sauce last time and it still wasn’t spicy. My friend who hates spicy food loved this! I stumbled across this recipe yesterday while sitting on a plane looking for something easy/healthy/delicious to cook when I landed. I showed it to my fiance and he all but begged that I made this one. 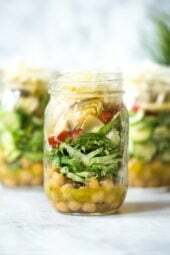 This may be too bold of a statement, but I think I can say this is my favorite skinny taste recipe I’ve ever made (and I’ve made a TON of them) Incredibly delicious, easy, and used a ton of pantry/fridge staples. When I made the grocery list, we only needed turkey, gochujang, and scallions! I love recipes that don’t require a ton of random ingredients I have to buy. I served it over the birdseye brand roasted garlic cauliflower rice and it was perfect. I one and one halved the recipe so we could have some lunch leftovers (my fiance eats a lot). Followed the recipe exactly except I only added the one egg because 1.5 eggs is hard 🙂 The meatballs were perfect! this will have a permanent spot on our menun rotation! By chance do you know if this would work with premade meatballs? Absolutely right. I tried it tonight. Either way the flavor of the glaze is amazing! Not completely. They could be if you use gluten free ingredients as a swap. Is there a reason not to use ground turkey breast to make these lower WW points? You can of course, but I find it comes out dry. I just made these today. So easy and so good! Will definitely male them again! Yummmmmmmm! Loved these! Will definitely make again and would even serve as a party app. Can you use Red Chili paste instead of the gochujunag? I’ve been to 4 stores and I cant find it anywhere. Thanks! So good… thank you so much for sharing all your recipes!All the family love them? So yummy and very easy! I made this for lunch at work and pair it with a side of rice. I usually skip toasting the sesame seeds, just because I don’t want to do the extra work. I just made these to prep for the week and… WOW! These are so incredibly flavorful! Thank you so much for this delicious recipe! How spicy is this “gochujang”? Not very spicy at all. Less than sriracha by far. Gina your site is one I come back to again and again. Made these tonight and they are so good. Love the sauce. I have one question-for anyone- how do you keep your meatballs round?? Has anyone tried freezing these? Trying to decide if I should just double the recipe! I didn’t see any response to this, so I will experiment tonight. I’ve made this 4 times and always a hit! I’ll freeze and top with green onions and sesame seeds after thawing. Trying to find an extra appetizer for my niece’s wedding. These are so delicious Gina! Thanks for all the great recipes, they’re always a hit in my house! We have a snow day today… and I’m making these, but converting them to burgers! Yum! Loved that the Asian flavors were cooked right into the meatballs, rather than just trying to add flavor from (my daughter’s go to) sweet and sour sauce. Plus the glaze had a great extra kick. 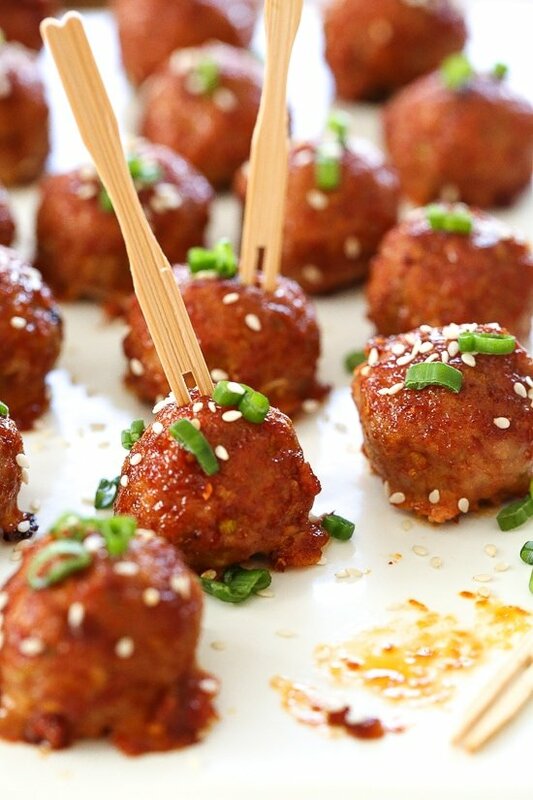 I had been looking for other ways to use the Gochujang sauce and these meatballs hit the spot. Served them with the brown rice and some lemon sesame snow peas for a tasty balanced meal. I know I can always count on your site for great recipes, and now I have another one for my files. Thanks! The recipe looks good and I think I will try it ???? Thank you for stating to substitute GF Panko to make it GF. You might want to add a statement to the soy sauce ingredient as well. Most soy sauces contain wheat or gluten. You can buy GF soy sauce but people new to being GF might not know to replace the soy sauce. Thanks for all your great recipes! HI! Can you use something else instead of the Gochujang sauce? Not that I would be adverse to trying it, but I am moving in a few months, and I don’t want to buy something that I will probably only use 1x, maybe Hoisin sauce?? I loved these! I used a tablespoon measure to scoop out the meatballs and only wish I’d made a tiny bit more glaze. Also, I added a tiny bit of honey at the end. Anyhow, I served with brown rice as suggested for a main, and green beans with soy. 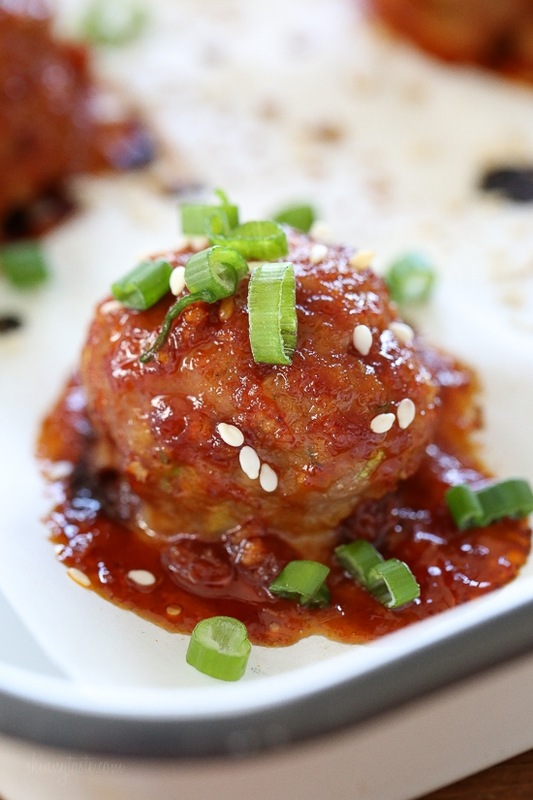 Delish – filling yet light, and a great way to use gochujang! Thanks Gina!!! 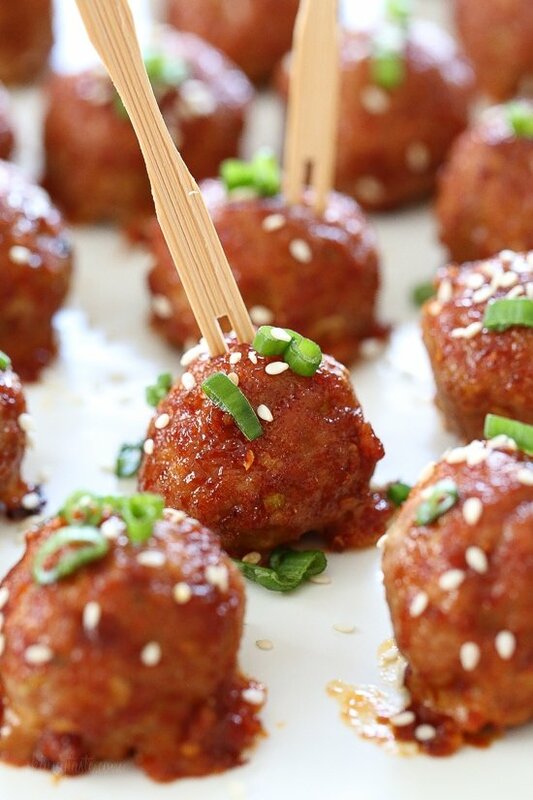 ps: I might also try this as mini gochujang glazed meatloaves! These were truly delicious and easy to make. A keeper recipe for sure! These were just delicious! I actually found the Gochujang sauce at the local Walmart. I did end up having to add additional breadcrumbs to keep the mixture from being so wet. I think it was the ground turkey I had. The family LOVED them, and the recipe is officially in the rotation here. Thanks for your work! I had to double the breadcrumbs, as well. But these were delicious! These were a home run with my family! 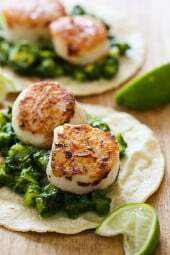 Very tasty and easy to throw together. I served them with some leftover rice and roasted baby bok choy. Definitely going in the rotation! These were so easy to make, and so incredibly delicious!!!! I want to try the sauce on chicken! I made these last night- I had some Gochujang leftover from a never-made Blue Apron meal and I was so happy to get to use it! This was really delicious and overall very easy. I was trying to streamline the prep and the clean-up so I cheated and used jarred garlic and ginger but honestly, the flavor still tasted great! I think fresh is always best but I keep the other around for when I’m in a pinch. Thank you, Gina, for always providing new and delicious recipes! What can I use to sub for the Gochujang, unable to find it in the stores. I was able to find at Wegman’s. If there are 16 ounces in a pound, how do manage to make 21 one-ounce meatballs?? There are other ingredients in the meatballs in addition to the meat to increase the weight. OMG! My husband loves meatballs and he’said obsessed with Gochujang! Can’t wait to make these for him! These looks really delicious! Can’t wait to try this recipe out! WOW! What a flavorful recipe. Nice of punch of asian flare while maintaining a healthy note. I used ground pork and honey instead of turkey and brown sugar. I also added the sesame seeds into the glaze. 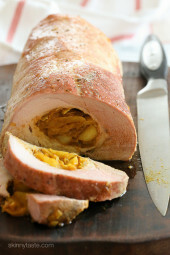 Definitely making these again and using the Turkey. 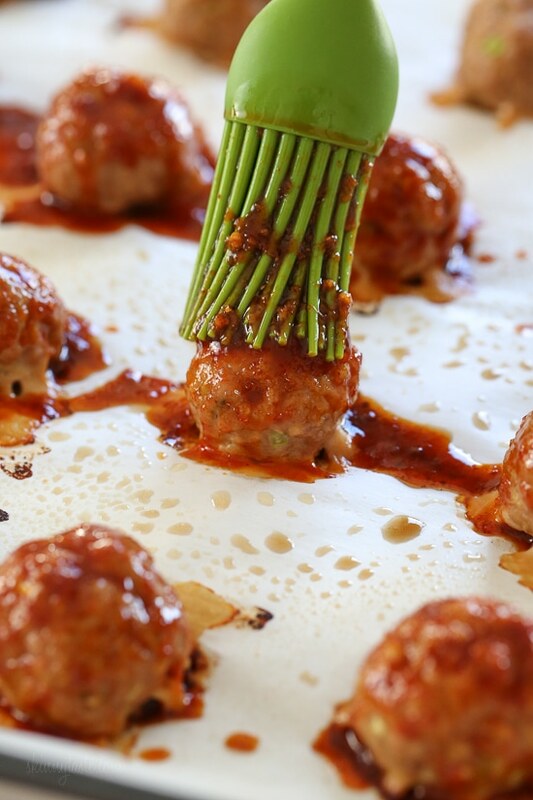 These turkey meatballs looks great. Thank you for sharing. Where can I get Gochujang? In an Asian market, or on Amazon! Kroger & Target carry it in the Asian aisle! Wow! These look delicious! I am obsessed with all of your Gochujang recipes! Your Korean beef bowl and Gochujang glazed salmon were amazing. I recently found out that I have a gluten sensitivity. Wondering if you or your readers know of a good gluten free brand? Now I’m torn! Do I make these or the Italian crockpot ones for tomorrow? Hello! I was so excited to find this recipe. It sounds delicious, and since it’s marked “Gluten Free,” I knew it was something I could eat. Unfortunately, I see that panko breadcrumbs are an ingredient. Those are made from wheat, therefore not gluten free. Any suggestions for what to replace that with (or if binding is even necessary). Also, would you be comfortable removing the GF icon? Thanks for the great recipe and ideas. There are GF Panko breadcrumbs available, I have now noted that on the recipe, thanks for noticing! No offense, but if you have Celiac’s/a gluten sensitivity, shouldn’t you know gluten-free replacements for recipes already? Or know where to search to find them? That’s a little unkind. It seems as though it was helpful and Gina updated her post. I think you owe Kathy E an apology. I found out I have Celiac’s a week ago, there are so many things I’m still learning. Perhaps this person is also still learning what the best alternatives are? I know I am. It’s only breakfast time and these photos have my mouth watering! I haven’t tried Gochujang, but I’m hoping to find it in the grocery store so I can try these! They look yummy and healthy! Thanks! Check Amazon if you can’t find it local. These look fabulous! Thanks Gina – I am loving gojuchang paste and always looking for new ways to use it!